How cute is this "S'more Printable Tag!?!" The best part is that you can print directly on mailing labels and stick. It's that easy. You can also cut them out and use as tags. 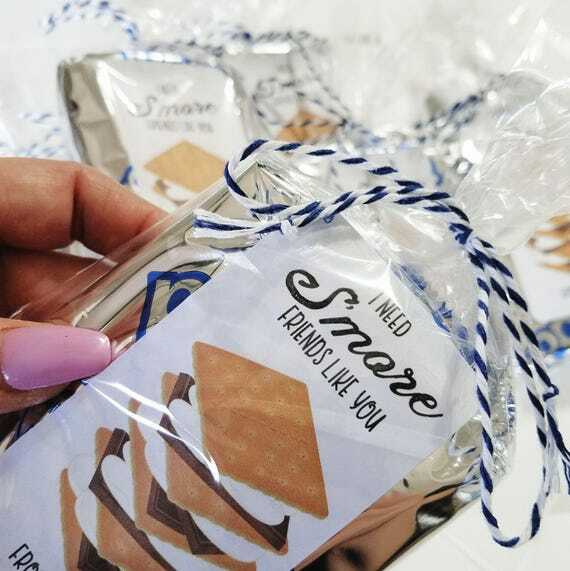 These S'more pop tarts make creating favors easy and super cute for classroom valentines or camping party favors.